2018 Kia Stinger 2.0T-GDI review – prices, specs and release date | What Car? BMW, Audi… or Kia? Chances are it’s a question that’ll rarely have graced your lips before – or the lips of many other car buyers, for that matter. But it’s one the new Kia Stinger will have more people asking – or so its maker hopes. The Stinger went on sale earlier this year, with the 365bhp V6-engined GT S version headlining the range and earning quite a bit of attention – somewhat unsurprisingly, with its Audi S5 Sportback-rivalling performance figures. But, of course, the 26.6mpg thirst of the top model means few will actually choose it. More likely, they’ll go for the 2.2-litre diesel or the 2.0-litre petrol, which we’ve got our hands on here. It goes up against rivals such as the Audi A5 Sportback and BMW 4 Series Gran Coupé. This is the 2.0 T-GDI GT Line, to be more precise, which means it sits at the entry point of the Stinger range, costing a very reasonable £32,025. Don’t imagine, however, that it’s a sluggard as a result. 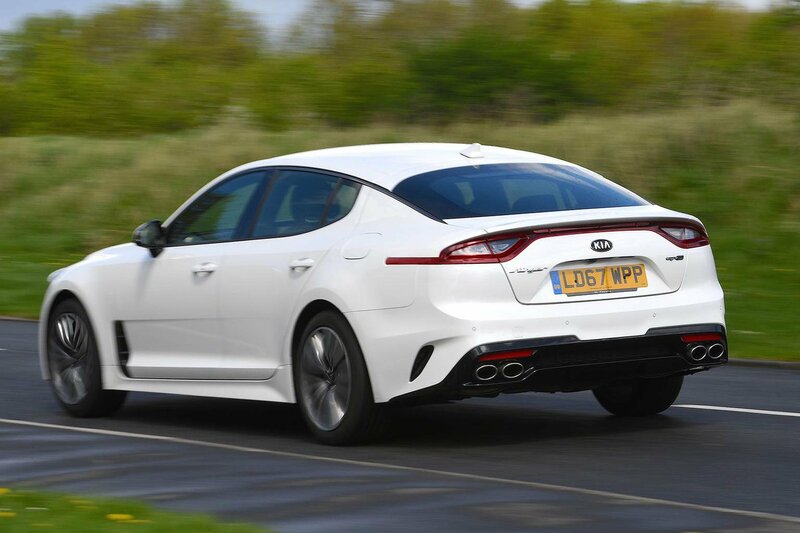 The turbocharged motor kicks out 244bhp, good enough to power the Stinger from 0-60mph in just 5.8sec – more than quickly enough for it to feel fast to all but the keenest of boy and girl racers. Even a restrained prod of the throttle results in a satisfying shove in the back; there’s a good wodge of torque low down that gives you all you might need for a safe overtake. Stretch your toe further, though, and the engine has more to give, with enough verve at the top end to have you holding onto gears just that little bit longer, especially in Sport mode. That extra top-end oomph is accompanied by a nice engine note, too. And if you want a more serene and relaxing experience, the Stinger 2.0 is quieter lower down the rev range, making it unintrusive when you’re cruising along or pootling around town. The same goes for the gearbox, which shifts cleanly and smoothly; flick the Stinger into Sport mode and use the steering wheel-mounted shift paddles and it snicks through the gears crisply and quickly, although not quite with the same precision and speed as in the 4 Series. Unlike with the GT S, you don’t get adaptive suspension here. Fortunately, that doesn’t matter too much in corners, because the suspension keeps control of the big, heavy body pretty well, so the Stinger doesn’t lean over too much. 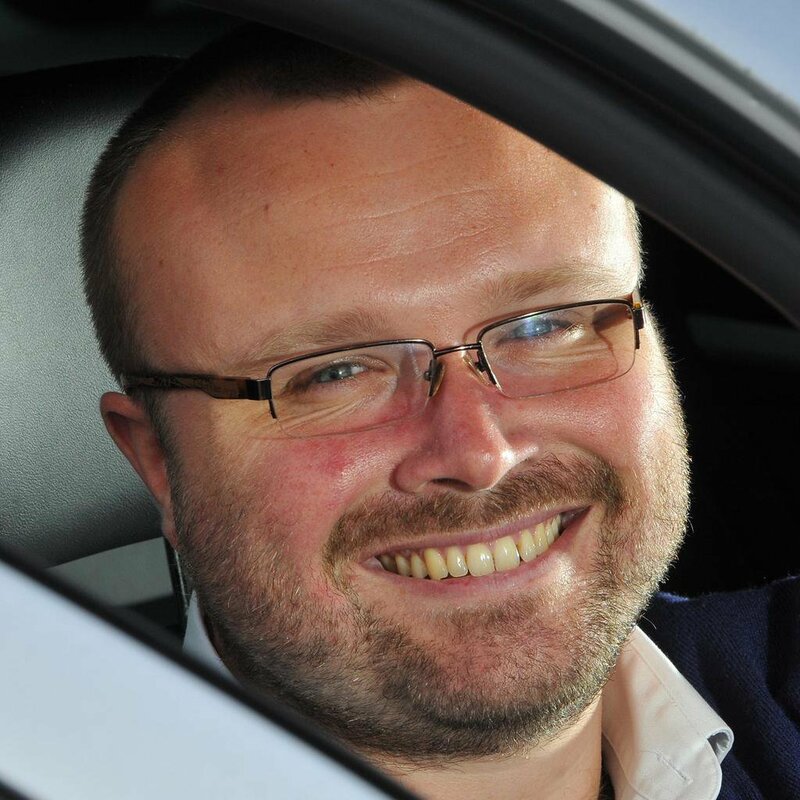 In fact, it’s pretty good fun to drive, aided by steering that’s quick and direct and a front end that likes to turn in. Together with that responsive engine, it makes hustling even this entry-level model down a twisting road a delight. Where the suspension falls down slightly is in terms of its ride quality. The Stinger isn’t firm, but its damping sometimes struggles for control. Undulating roads can result in the Stinger pitching over larger bumps. Smaller ruts aren’t felt through the chassis so much as heard as the thump of the wheels reverberates through the body, but the Stinger still has a pleasant cruising manner overall. 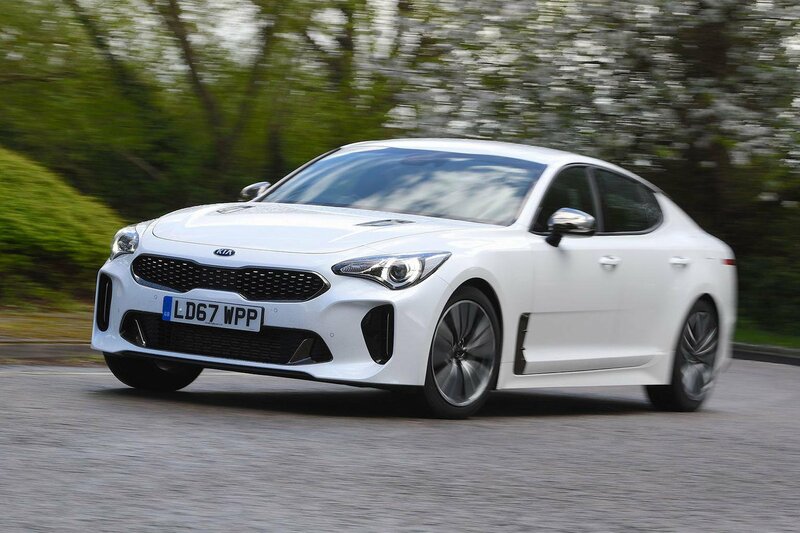 Climb aboard the Stinger and it’s instantly clear that it’s a cut above other models in Kia’s line-up. 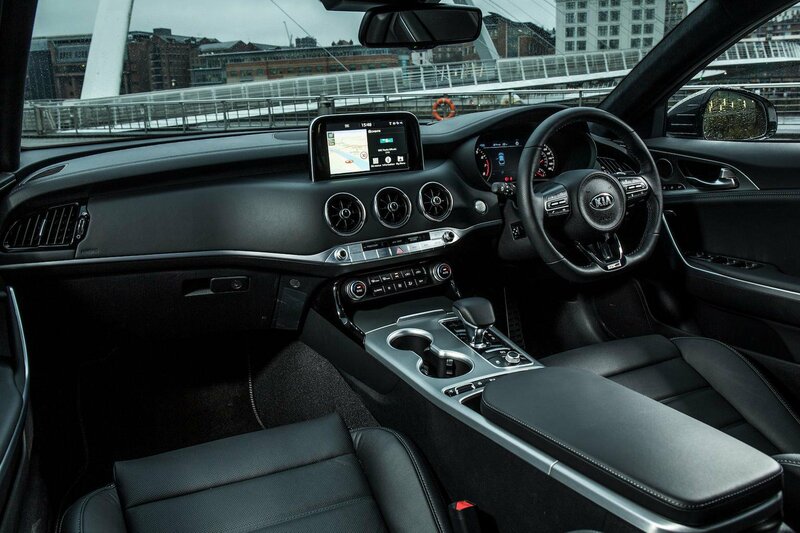 Swathes of real metal and leather dominate, while there are some eyecatching design touches such as the circular air vents, while the controls feel slick, with switchgear that’s well damped and easy to understand and operate. The Stinger's 8.0in infotainment touchscreen is responsive and fast and its menus are reasonably easy to find your way around. On top of this, you also get dual-zone climate control, leather upholstery, heated and electrically adjustable front seats with memory functions, a reversing camera, front and rear parking sensors, Bluetooth and Apple CarPlay and Android Auto smartphone mirroring among an extensive equipment list. Sadly, all is not perfect; for example, the faux stitching along the top of the dashboard – there to simulate leather – jars against the real leather used on the seats and door panels, while some of the plastics lower down the dash and doors don’t feel quite as classy. All told, the A5 feels of higher quality inside and generally more robust. The Stinger does at least have plenty of space for odds and sods, while the occupants of its front seat won’t feel cramped – there’s loads of room even for the lankiest. The same can’t be said in the back, mind you; limited shoulder and head room make it a bit of a squeeze.